Exclusive use of the Millar Road Estate is possible by taking Haumoana House & both villas . This provides seven king bedrooms and six bathrooms. The addition of up to three rollaway beds allows up to 17 guests to be accommodated. 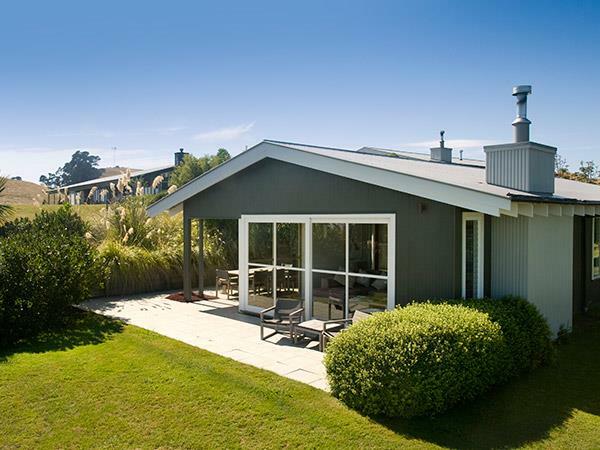 Haumoana House has a large open plan kitchen, dining and living area which is the perfect place for exclusive use groups to congregate for entertaining. The Millar Road Estate is perfect as a base for wedding parties as well as being ideal for family reunions and other celebrations. We are also well suited for smaller corporate retreats.